With the Buffalo Bills officially eliminated from playoff contention and their playoff drought restarted, it is time to turn our attention to the NFL draft. The Bills currently hold the 6th pick in the NFL draft, moving up from 8th last week. This week is another game that has serious draft implications for both teams with the Bills sitting at 4 wins and the Lions at 5 wins. You can see that the Bills are in a complicated spot, only 1 game out of the top pick, but also only 1 game from the 11th pick. Now, the strength-of-schedule (SOS) tiebreaker will determine the final seedings, but these final three games will go a long way in determining where everyone ends up. I doubt the Bills will end up with the 1st pick in the draft, but hey…ya never know. My guess is they end up around 7 or 8. The obvious one. Not that I advocate for losing, but there seems to be a growing consensus among fan bases that once teams are eliminated from the playoffs the best thing they can do is lose and help build for the future. It is no longer taboo to root for your team to lose (Buffalo News vs. Sabres tank fans) Another loss this week would pretty much guarantee the Bills at best a 5-11 record if you count another loss next week at NE. Again, I’m rooting for Josh Allen to play well but in the end I won’t be torn up about it if the Bills lose. A Bills win this week and some other games not going their way and they could move up the draft board…a lot. The Jets SOS is so low that they would need another win to let the Bills move in front of them in the draft order. Root for the Jets to win their 2nd in a row against the Texans. The Superbowl of games for draft order for the Bills, besides their own. Potentially, a win by either team combined with a Buffalo loss would move Buffalo past them. A Bills loss and a Falcons win would definitely move the Bills up. A Bills loss and a Cardinals win would be close…right now Arizona would have the spot by .002 but SOS changes with every game played. Root for Oakland here. A Raiders win combined with a Bills loss would move the Bills past them. Pretty remarkable to think about when you consider how bad the Raiders are. In the event the Bills win, we want to limit collateral damage. So, root for the Giants to pick up a win to keep the Giants behind the Bills in the draft order. Same reasoning as above, root for Jacksonville in the event the Bills win so they do not drop too far down the draft board. Root for Tampa. Same reasoning as above. Probably the least likely of outcomes, but root for the 49ers in this one. Again, the Bills and 49ers SOS is so close that by the end of year you never know who could grab the spot if the two teams were tied. 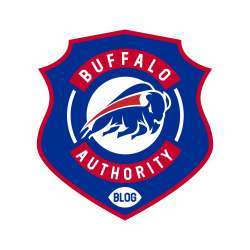 This entry was posted in Analysis, Game Previews and tagged Bills, Bills Blog, Buffalo Authority, Buffalo Authority Blog, Buffalo Bills, NFL Draft. Bookmark the permalink.